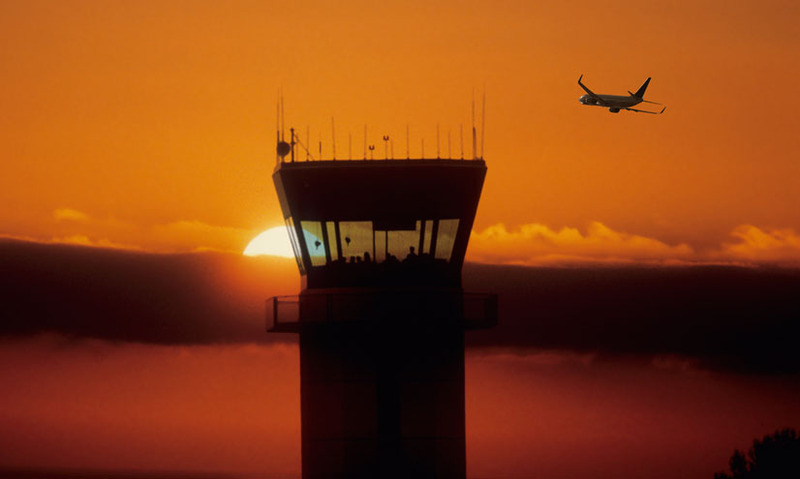 How air traffic controllers use position vectors to ensure that aeroplanes can fly safely in crowded skies. Every day, approximately 50,000 planes take to the skies. With so many planes in the air, safely organising flight paths is an essential, and mathematical, job. If it weren't for air traffic controllers, safe modern air travel would be impossible. They track planes using vectors – descriptive sets of ordered numbers which indicate aircraft positions and directions in the sky. Position vectors determine the position of one point in space relative to a point of origin. Like coordinates, vectors can have X, Y and Z components indicating their position in two or three dimensions. Unlike a scalar, which has only a magnitude, such as length or speed, a vector always shows a direction. So crucially, vectors can be written with an arrow indicating that direction. To calculate the vector that describes the movement of an object between two points, like an aeroplane, the coordinates at point A are subtracted from point B. 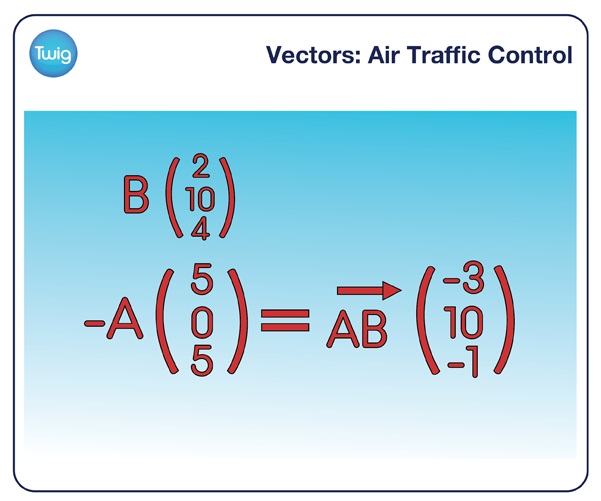 Air traffic controllers use vectors to keep planes at a safe distance from one another. For instance, two vectors are parallel – that is, they have the same direction – if one is a multiple of the other. Here, two times vector AB equals one of vector CD. So, if two aircraft start apart and the vectors that describe their paths are multiples of one another, then they will move parallel to each other, and their paths will not cross. So vectors can be used to easily calculate the distance between two aeroplanes at any given time, ensuring that they always keep a safe distance apart. The sky has no traffic lights, or flyovers, or stop signs, meaning vectors are vital in safely flying 6 million people to their destinations every single day.